"Los Angelenos head to Carmela’s for handmade, small-batch treats made from all-natural ingredients, and her selection of fruit and vegetable sorbets are the answer to summer heat. The cucumber sorbet is a light twist on the savory trend of summer frozen treats. 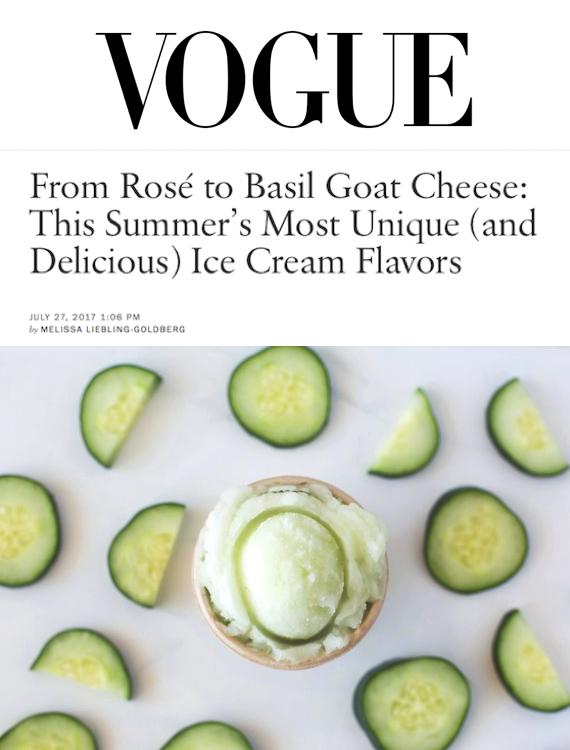 Pair it with the Lemon Basil for an ultra-summery twist, or go daring with the heirloom tomato sorbet."